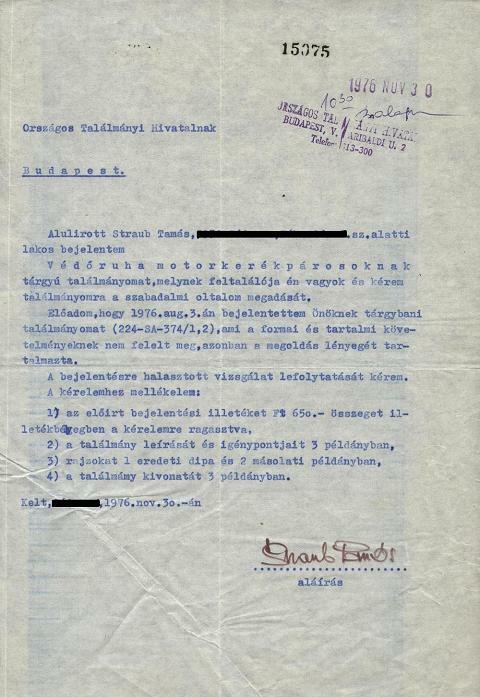 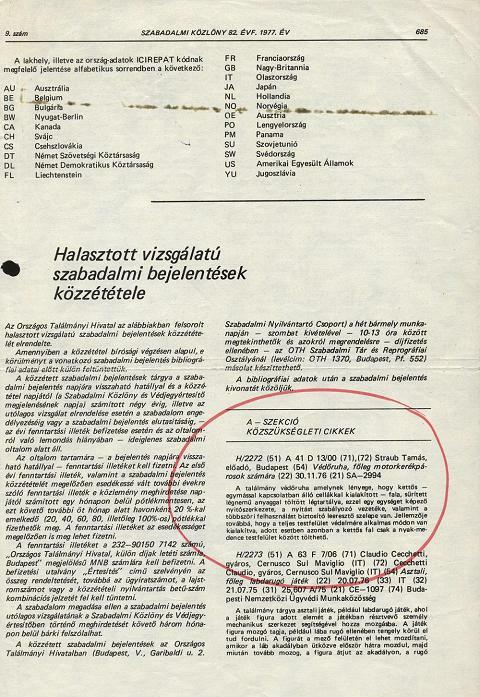 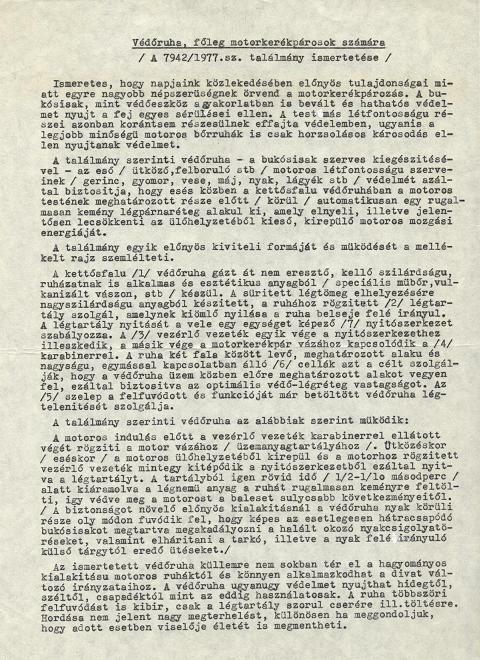 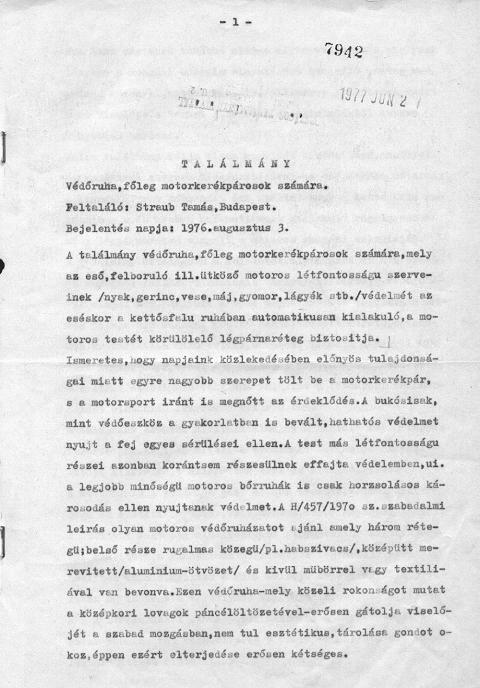 Ĉerpi el Gazette de Patentoj (oficiala revuo de la Hungara Patento Oficejo) jaro 1977 numero 9. 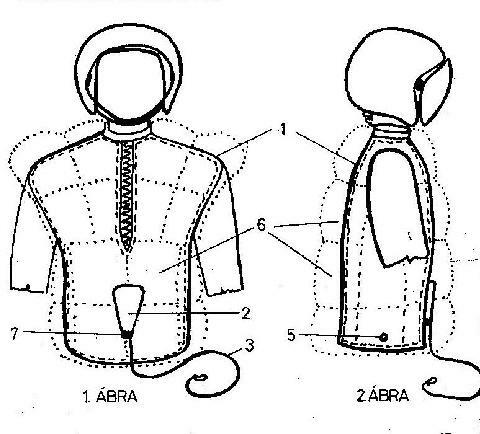 The invention is a protective garment, based on a double wall made from interconnected cells, an air tank filled with a compressed gaseous substance, an opening mechanism – these latter two forming a single unit –, a wire controlling opening and a bleeding valve ensuring multiple use. 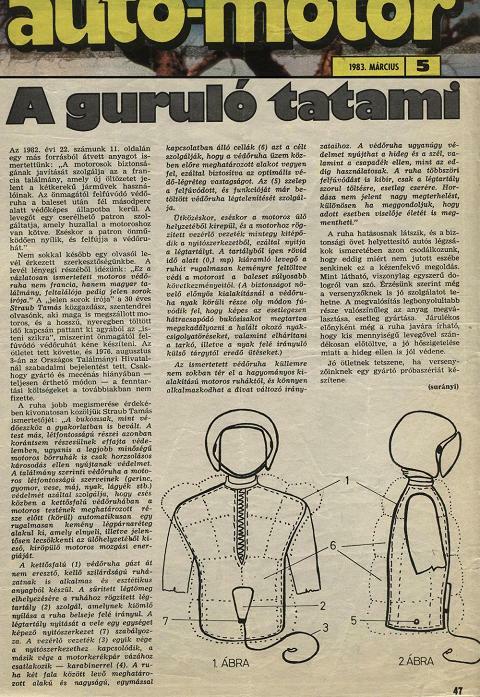 Moreover, it is characterised by its design suitable to protect the entire body surface; however, the double wall can, in certain cases, only be refilled between the neck and the pelvis. 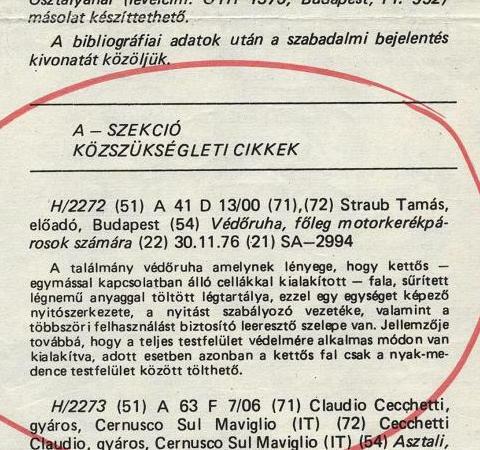 Vi povas aspekti la korespondadon por la realigo de la invento TIE>>>.